Sales and marketing aren’t mutually exclusive. Rather, in a successful business, one can’t exist without the other. Far too often, however, businesses use these terms interchangeably; but sales and marketing are two entirely different components — components that must work together seamlessly in any successful enterprise. Here’s an overview of the difference between sales strategies and marketing strategy, and how marketing and sales teams should coexist within a successful business. Sales and Marketing Strategy: What's the Difference? Marketing Strategy: A marketing strategy or marketing plan is designed to identify and reach a target audience of potential customers for a product or service. The goal is to increase sales of a product or service through strategic components such as social media marketing, content marketing, and conversion rate optimization. Once quality leads are established, it’s time to convert them into opportunities by passing them over to the sales team. Inbound marketing is a great strategy that encompasses all aspects of filling your funnel, nurturing your audience, and bringing them through the buying cycle on their own terms, rather than trying to blast your message through advertising channels. Utilizing the Inbound Marketing Methodology, you are able to attract the right kind of people to your brand, convert them into leads, and nurture them into closing opportunities, and delight customers into becoming raving fans. Sales Strategy: Sales is slightly different in the fact that this is always more personable, and always more specifically tailored to individual people rather than a broad audience. Sales enters the picture once marketing has "qualified" a lead unless the sales team is actively pursuing their own accounts. Sales teams succeed together when they are 100% transparent, are working against a quota, and follow a clearly defined playbook. In this world, it is very easy to turn the process into a sleazy experience if salespeople are just winging it, rather than following along with the sales process. 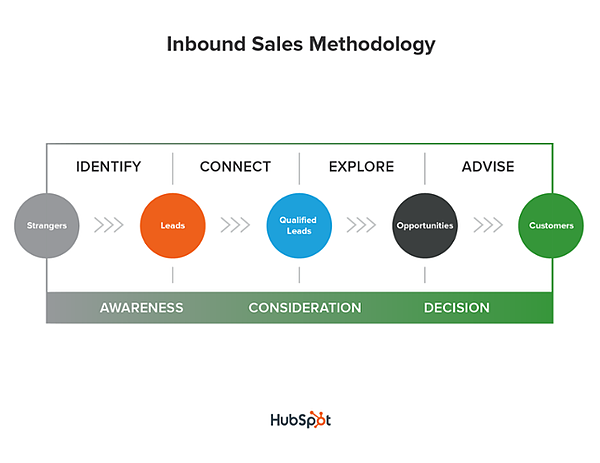 Using the Inbound Sales Methodology, the sales team is able to identify the leads that meet the criteria for being best fit and worth working (also coming from the marketing team). They will then connect with qualified leads, to further qualify and excite the prospects. Next, they explore opportunities. Finally, they advise and close the business. To compare the two, you could say that marketing paints a strategic map of the big picture — the overall marketing mission of the company — while sales is the tactical force that hones in at the end to close the deal. That’s why it’s essential for both teams to constantly communicate so that sales knows what marketing is doing, and marketing knows how to help sales close the deal. Both the marketing team and sales team should work together to identify the target audience (or, the ideal buyer profile). Marketing’s job is then to fill the funnel with as many of the prospects that fit this demographic as possible. 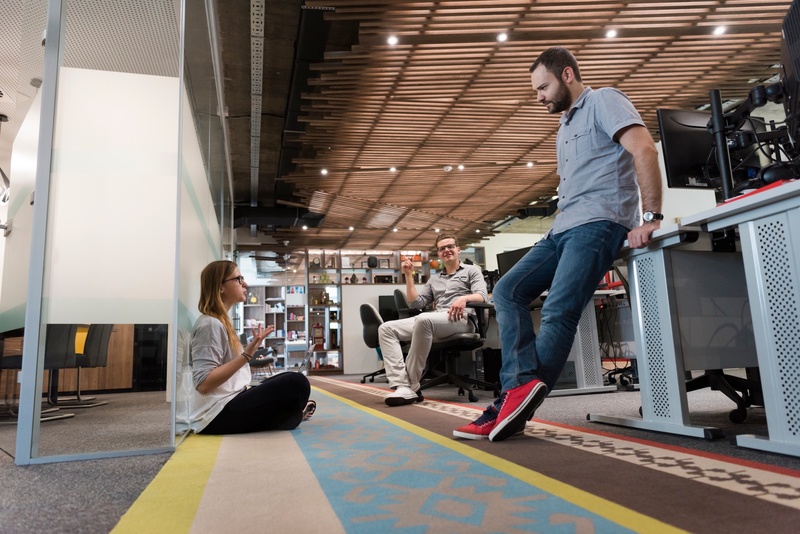 This gives the marketing team the specifics they need so they’ll know exactly who they’re producing content for, and it also gives the sales team a specific idea of how to engage these target customers. The hand-off of a lead from marketing to sales should be a seamless transition — but this can only be achieved if marketing and sales work closely together. Whether the focus is on creating a strategy for website conversion or setting up a quality lead system for sales, your marketing team can maximize its results by leveraging the features and benefits of a long-term marketing plan template. Like a business plan, marketing plan templates should include a summary of the company’s target customers, pricing and distribution plans, and specific strategic blueprints such as e-commerce ideas, inbound marketing ideas, and SaaS marketing strategy ideas. The Hand-Off: What Happens Next? When a high-quality lead is determined to be qualified, it’s time to pass it from marketing to sales. This process should be documented every step of the way, through email and other recorded communications, so that marketing can give sales the information it needs to close the deal. One of the best way to document the transition — and to make sure everyone is on the same page — is to use a Customer Relationship Management tool, shortened as the more commonly known term, CRM. Using a system like HubSpot's Free CRM, for example, a lead is now able to be tracked through deal stages in a pipeline for visual representations of how leads are flowing to the sales team. For a more robust experience, the handoff can be made extremely seamless and easy. If you are using a marketing automation platform, you can set up a series of tasks and events to happen once an action is triggered. By working as a unified team, marketing and sales staff can create a company game plan that will ensure all of the above, and provide a steady and seamless process for moving prospects through the funnel to becoming a customer.